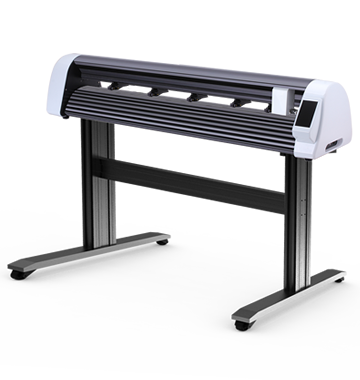 If you are a business owner looking to get in to the manufacturing industry to supplement your existing print facilities or start from scratch, the Skycut range of plotter cutting machines are perfect for you. Compact, easy to use and compatible with some of the most common print industry materials. We can help you choose the right machines to suit your business and get you ready with training. Martin O’Brien Formes is proud to be partnered with Skycut and their range of plotter cutting solutions. If you would like to learn more about them and make an order, get in contact with us today! Despite their compact size, the Skycut range of plotter cutters are loaded with all kinds of great features usually only found in large industrial cutting solutions. These allow you to easily manufacture your own products and get clean, accurate results every time. Below are just some of the features of the Skycut plotter cutters. The Skycut Craft Cutter is suitable for cutting all kinds of products out of card, paper, foam and sticker sheets and more. The Craft Cutter also has a special laser cutting head option that allows it to accurately cut and woodburn designs. Contact us today to learn more about the Skycut range of plotter cutters or make an order. Training and maintenance services are also available. 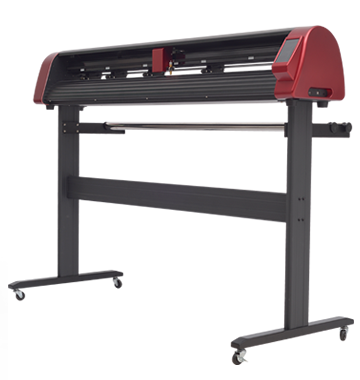 The Skycut Vinyl Cutter builds on the Craft Cutter by increasing the maximum cutting area, and increasing the cutting force to 2000g. This opens up new opportunities for products it can create. The Skycut Dual Heads Cutter allows for the creation of much more complicated products in a single pass. 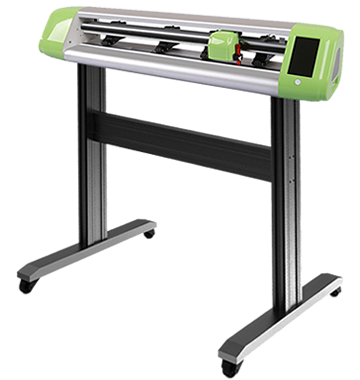 Utilizing two tool fixtures allows you to perform tasks such as cutting and creasing without needing to change the tool and re-run the software. Martin O’Brien Formes is the exclusive distributor of Sunrise Technology’s SkyCut range of plotter cutters in Australia. We work with many different plotter cutting options that suit a variety of production sizes and complexities. We see the value in a product like SkyCut and are keen to see them benefit Australian businesses. If you would like to learn more about SkyCut you can visit their website or contact us directly with your enquiries.